Speaking of Women's Rights: Unpacking United States v. Bryant:When Does Federal Protection of American Indian Women Become Overly Paternalistic? When Does Federal Protection of American Indian Women Become Overly Paternalistic? In United States v. Bryant, decided unanimously last month by the United States Supreme Court, the Notorious RBG heralded a victory for American Indian domestic violence survivors, demonstrating respect for tribal court criminal procedure. Michael Bryant had over one hundred tribal court convictions, including several misdemeanor convictions for domestic assault. Between 1997 and 2007, he pled guilty to five occasions of domestic violence charges. Bryant contended that because he did not have representation during the tribal court proceedings, those convictions should not count toward a heightened sentence in federal court. However, his Sixth Amendment claim citing his right to counsel fell flat. The Supreme Court reaffirmed that at least two prior domestic violence convictions adhering to correct tribal court procedure are sufficient to escalate a third charge to a new crime – a felony, punishable by up to five years – created by the 2005 Violence Against Women Act (VAWA). 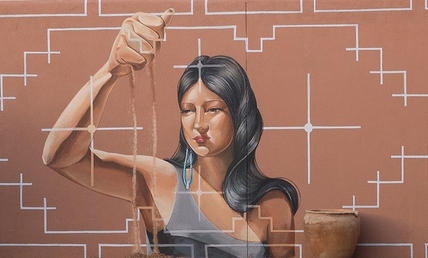 This decision reinforces the message that repeat offenses of domestic violence in American Indian communities is a serious crime, and upholds the severity of repeat offenses as outlined by VAWA, which was created with input from many tribes. With nearly 46% of American Indian and Alaska Native women experiencing physical violence by an intimate partner, repeat incidents of abuse can result in escalation and can even be fatal. While this case sends positive messages with regard to the severity of domestic violence, as well as respect for the independence of tribal criminal procedure, it poses questions about tribal sovereignty over substantive law. Should American Indians rely on Congress to police domestic violence within tribal communities, or is VAWA overly paternalistic? Is this acceptance of “uncounseled” convictions lowering the bar of criminal legal protections for tribal members? Does this decision reinforce over-criminalization of tribal members and should tribal law instead focus on restorative justice? Passionate responses to these questions may come out in upcoming months from American Indian communities and domestic violence organizations, so be on the lookout. For now, let’s celebrate the rare moment when the Supreme Court sided with victims of domestic violence. Rachel Kuenzi is a legal intern at Legal Voice and a rising second-year student at Georgetown University Law Center. She is a Public Interest Fellow dedicated to alleviating intimate partner violence and day dreams about founding a domestic violence advocacy theater troupe that includes pro-bono legal services for victims.